The Louis Stokes Alliances for Minority Participation (LSAMP) program of the National Science Foundation assists universities and colleges in their efforts to increase underrepresented minority student recruitment, retention, persistence, and attainment of science, technology, engineering, and mathematics (STEM) degrees. It does this by the formation of alliances and carrying out specific programming to encourage student success in STEM. LSAMP at Cuyahoga Community College provides students a series of academic and professional programmatic activities designed to increase their academic success and integration into their discipline. Citizens or permanent residents of the United States or its possessions. Working on undergraduate majors in STEM disciplines (as defined by the National Science Foundation). African-American, Alaskan Native, American Indian, Hispanic American, Native Hawaiian, Native Pacific Islander, or two or more of the above. Attending Summer Institute - a two-week, summer bridge program that helps students refresh their math skills, learn resources available to them, and build a peer network. Completing a transfer plan to continue education at a 4 year institution to ensure degree program and curriculum are consistent with goals. Participating in a for-credit introduction to research course. Taking part in peer mentoring and networking. One of the benefits of Tri-C’s location is its proximity to the NASA Glenn Research Center. Dr. Bilal Bomani runs NASA’s Green Lab Research Facility and is an adjunct faculty member at Tri-C. He also runs Tri-C’s eXtreme Green Lab, which exposes students to research in renewable, alternative, and sustainable green energy. LSAMP Scholars Yessica Jimenez and Mohamed Ag Almahamoud were research assistants to Dr. Bomani as they studied the variables that affect plant growth in different ecosystems. LSAMP Scholar Monica Stevenson was selected to participate in the eight week National Science Foundation REU program in Costa Rica during the summer of 2018. Her research culminated in research poster "Impact of Neotropical West Forest Restoration on the Predatory Arthropod Community in Southern Costa Rica." Monica J. Stevenson and Jose–Cristian Martinez from the Department of Biological Sciences, University of Illinois at Chicago. 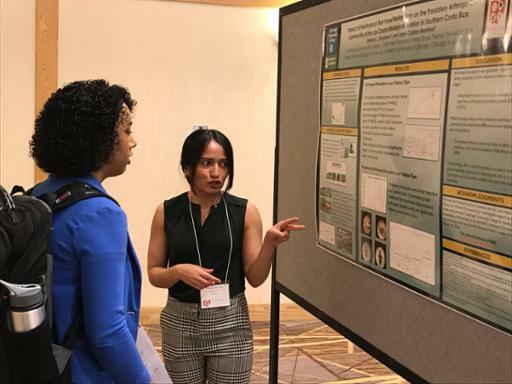 Monica has presented her research poster at SACNAS (Society for the Advancement of Chicanos/Hispanics in Science) in 2018 and at the Ohio LSAMP Alliance Conference in 2019, where she won best overall poster. Tri-C student Mohamed Ag Almahamoud also presented at the Ohio LSAMP Alliance Conference which was also attended by two other Tri-C students. Over five years, ten Ohio colleges and universities will share a $3.5 million National Science Foundation grant to help increase underrepresented student success in science, technology, engineering and mathematics (STEM) disciplines. The grant, awarded through the Louis Stokes Alliances for Minority Participation (LSAMP) Program, establishes an alliance that will work to double the number of bachelor’s degrees completed in STEM fields at partner institutions within five years. Diversifying the STEM workforce is one of the country’s major challenges, and the LSAMP grant will provide comprehensive, integrative, and sustainable strategies for strengthening the nation’s STEM talent pool. 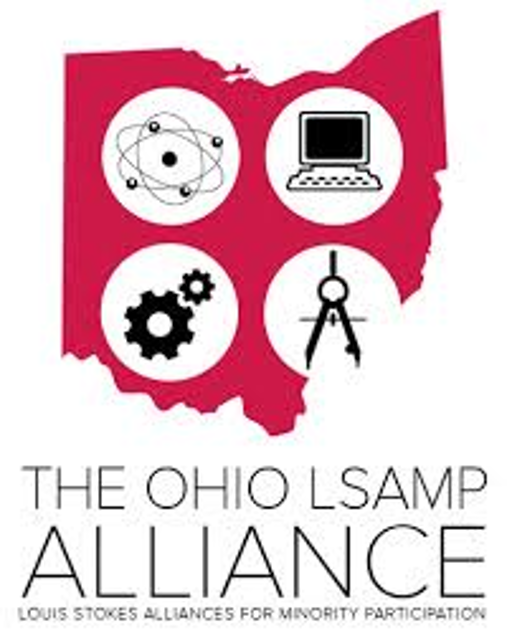 The Ohio LSAMP Alliance is supported by a grant from the National Science Foundation, award number HRD-1304371.